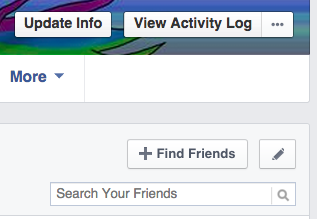 Everybody’s done it: Late at night, you’re checking out your best bud from high school’s friends list. You wax a bit nostalgic, and before you know it, you've sent out friend invites to one-half of your graduating class. Or you’re getting your business started up and you import contacts that you’re going to try to buy your new widget. Whatever the reason, once you've sent out that friend request, it’s out there … FOREVER. No, you’re not understanding how horrible this is. Everybody’s done it: Late at night, you’re checking out your best bud from high school’s friends list. You wax a bit nostalgic, and before you know it, you’ve sent out friend invites to one-half of your graduating class. Or you’re getting your business started up and you import contacts that you’re going to try to buy your new widget. Whatever the reason, once you’ve sent out that friend request, it’s out there … FOREVER. No, you’re not understanding how horrible this is. If the object of your attention chooses (as so many of us do) to ignore your out-of-the-blue “Hi, how are ya?” advances, your request just lays there like a ticking time bomb — that they can accept at ANY time in the future. And that time is ALWAYS when you’re away from Facebook, giving them hours of unrestricted access to your “friends only” posts when you never intended to connect with your former boss that way. Gah! In the short term, sure, it’s no big deal, right? But with Facebook changing its privacy settings on a weekly basis, it can have a cumulative effect. So you invited someone to be your friend prior to the cool new “acquaintance, close friend, etc.” settings. If they decide three years after you’ve sent that request that they really do want to be your friend, well, they’re in your inner circle, and privy to your deepest, weirdest thoughts — that is until the first time they comment on something you never intended them to see, and then you lock that stuff down. This is not rocket science, nor is it the dawn of some dramatic new technology that’s going to lead to the formation of Skynet and Judgment Day. It’s a countdown timer that starts up the minute you hit that send button. Countdown timers have been around since the eighth century, so it should seem pretty simple to make that a go. But hey, maybe Facebook just believes in second chances — or third, or fourth, or something. So what’s a friendly, inviting person to do when they come to the conclusion that they’ve just sent out too darn many invites that are now just hanging there in limbo? Well your options are a little limited. You can: Start a Kickstarter campaign to buy Facebook and force it to put an expiration date on friend requests; wait for those friends to die of old age or the inevitable zombie apocalypse; or screw all those indecisive jerks and delete their friend requests, taking the decision-making out of their clearly inadequate hands. 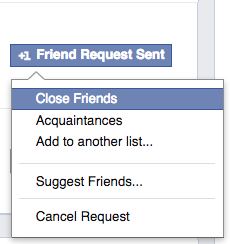 If you hover over the “friend request sent” button, a drop-down menu gives you the option of canceling the request — or you can keep it around (although that’s kind of pathetic) and put that person on your “restricted” list so he/she can only see your public posts if/when they decide to accept your groveling request. Readers: Have you had someone accept out of the blue and been horrified by it? I have! Image of shocked woman with tablet courtesy of Shutterstock.